You'll be soloing in a way you never thought you were capable of. On this course you will learn in an easy and practical way to solo and improvise using one of the most famous and versatile scales of all time: the favourite one, The Pentatonic Scale. You will learn two shapes of the Pentatonic scale and also how to use them on a minor and on a major situation. You will never forget the things you are about to learn! 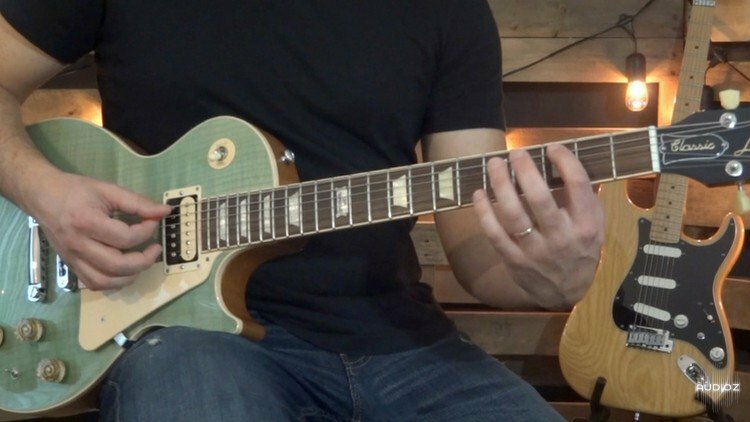 You will be blown away with this course, and I guarantee you that you will use what you'll learn here, every time you play guitar in the future! This lessons is one of the many lessons of my Lead Guitar Program, where my goal as instructor is to make you a lead guitar player. If you have some knowledge on music and guitar, if you consider yourself a beginner to intermediate level guitarist, Lead Guitar Program is for you! On this program I will teach everything I use as a professional musician so you also can become a real Lead Guitarist. I will be straight to the point, with solid and practical information and techniques that will be part of your tool belt day-by-day. Lead Guitar Program is design to get a beginner/intermediate level guitarist to become an advanced level guitarist.